Bundled up as I was - in big boots and toque - for an evening stroll, I was astonished at how many bicycles were parked downtown in Missoula. 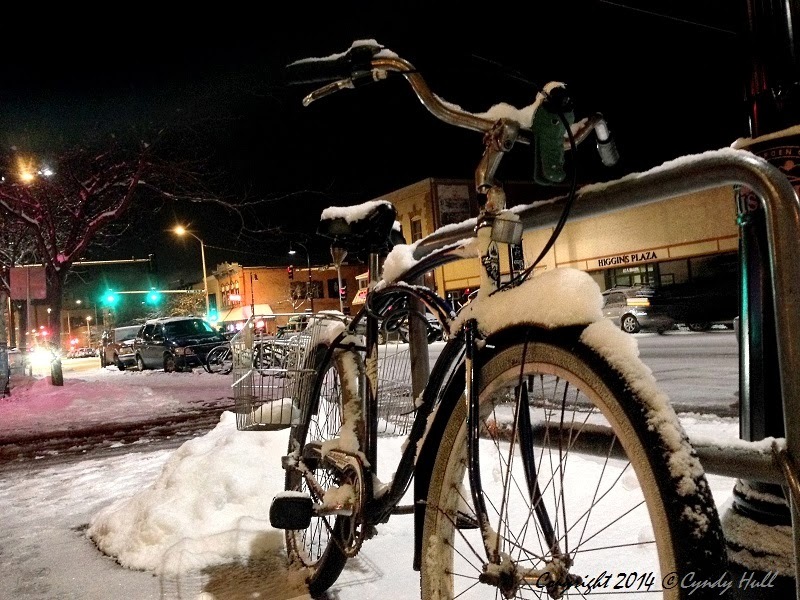 Even after this weekend’s prolific snowfall, I saw cycling commuters in this morning’s traffic. Brave or desperate, one can only hope a good story is behind such a transport decision, particularly as we actually have a public transit system.